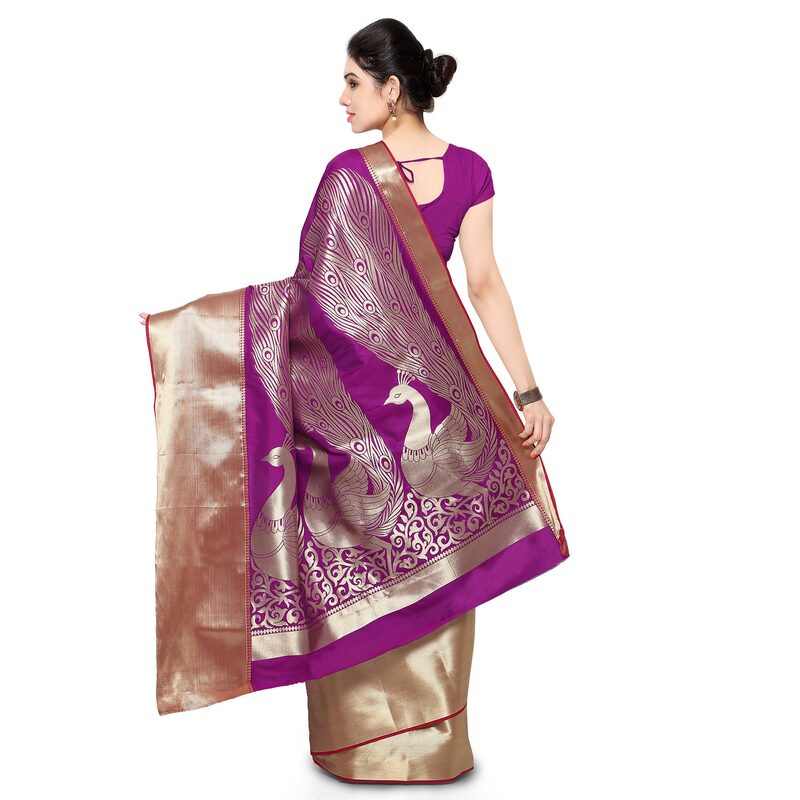 Showcase your ethnic look wearing this purple art silk saree. Featuring zari weaving design of peacock makes the entire pallu elegant and traditional small flower with zari weaving make the saree body look extra vegant. The one side big simple satin zari weaving border highlights the attire. Accompanied with plain matching saree blouse.